Nokia today announced the latest addition to its family of "Active" phones with the introduction of the Nokia 5500 Sport Music Edition. 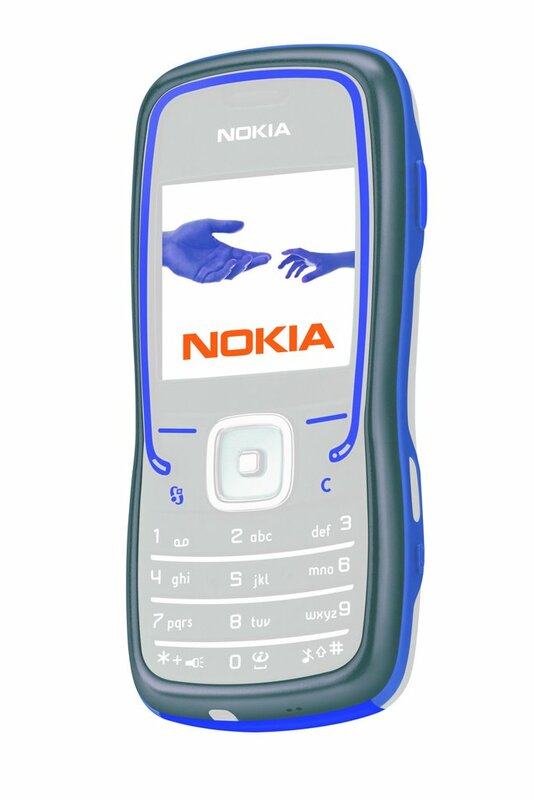 Adding to the well-received concept of the Nokia 5500 Sport, the Music Edition is enhanced with a 512 MB microSD card for enjoying up to 375 songs, as well as a fitness carrying strap, bicycle holder and sports headset packed in a new energetic color. "Music is a great source of energy and inspiration for many - during a workout, a fitness routine, or just relaxing," says Antti Koivula, Director of Lifestyle Products at Nokia. "To complement its sporty and fitness-inspired design, the Nokia 5500 Sport Music Edition offers an expanded range of music features and bears the Nokia XpressMusic feature brand which guarantees an outstanding mobile music experience." The innovative carrying strap of the Nokia 5500 Sport Music Edition allows it to be worn around the waist or strapped around an arm to ensure that the handset stays in place, even during vigorous exercise. The sports headset also offers handsfree convenience for music and conversation with an anatomically engineered, over-the-ear design. For a complete music experience, the Nokia Music Manager application makes music transfer in multitude of different digital music formats from your PC easy and convenient. As a sports companion, the Nokia 5500 Sport Music Edition packs a lot more than just music. Featuring an integrated pedometer, this "smartphone with a six-pack" lets users know the distance travelled and calories burned during a run. Other activities, such as a bicycle tour or cross-country skiing can also monitor distance and calories with an optional GPS module. Results of workout routines can then be transferred from the Nokia 5500 Sport Music Edition to a PC to follow individual progress. When it comes to messaging features, the Nokia 5500 Sport Music Edition is as versatile as a decathlete. With the press of a single button to activate three dedicated "modes", the Nokia 5500 Sport Music Edition can switch from a phone mode to stay in touch, a music mode to relax or energize, and a sports mode to help users go the extra mile. With a high-powered smartphone at heart, the handset can even support text-to-speech technology. With two taps, the Nokia 5500 Sport Music Edition reads an SMS aloud. A 2 megapixel camera completes the well-rounded feature set of the Nokia 5500 Music Edition. The triband Nokia 5500 Sport Music Edition (GSM 900/1800/1900) is now available in select shops around Europe. The expected retail price before taxes and subsidies is approximately 350 EUR.